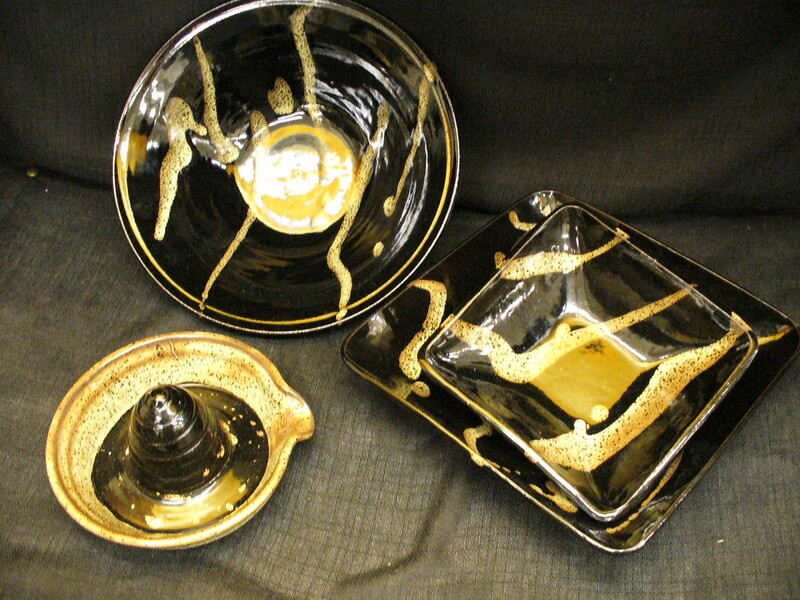 Chris Consler, of Brier Street Pottery, specializes in creating functional stoneware pottery for her clients, who wish to use these special pieces on a day-to-day basis. In her own words, here is an inside look at Brier Street Pottery, its history, and its future. I live in East Meredith, NY, which is the town that I have always lived in since a child. About a hundred years ago, according to history lore, the first settler climbed to the top of his newly finished house, and declared it “the flower of Brier Street.” That is where I got the name of the pottery from. My 5 or 6 times great grandparents were some of the founding fathers. When was the exact moment you realized you wanted to be an artist? There was no exact moment. I come from family that always did for ourselves rather than spending money… Comes from my Scotch-Irish heritage my grandmother always said. She crocheted, and created eggshell pins that she sold in the ’70s and my mother did drapery dolls, and had a ceramic studio. So, it was never a defining moment… it was just always like that, maybe in the blood. I recently this year retired from my nursing career of 20+ years, although I consider myself too young to retire. What I really did was decide to pursue pottery on a full-time basis. 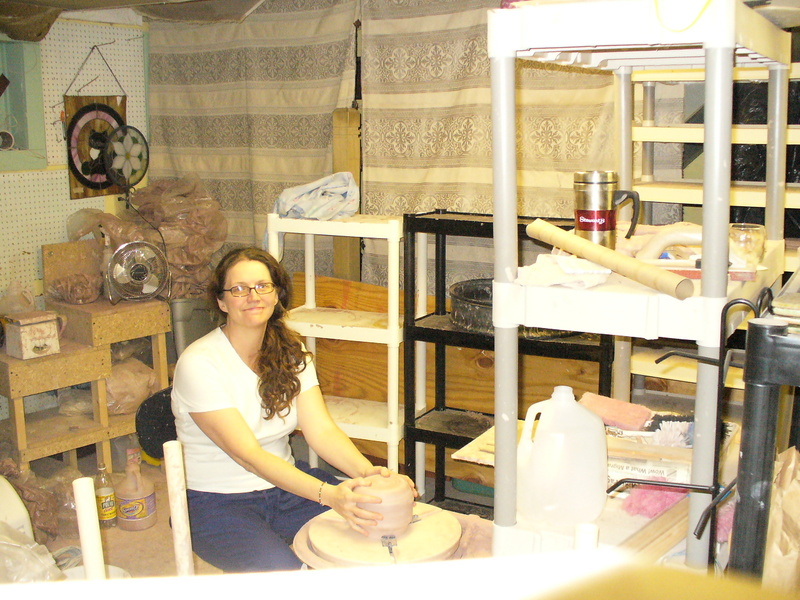 I have been part time in the pottery field for the last 5 years. Most people that come into my booth comment of the colors that I use. I allow the clay and the glazes to create the beauty of each piece. I don’t do a lot of additional embellishments, and I can’t paint worth a bean. But I can slightly direct how I want the glaze to flow, and then I let it organically move in the direction it wants. Each piece is a one-of-a-kind. My first and foremost goal for my business is create utilitarian piece for people to use that are beautiful. In order to have my pottery impact on the lives of my customers, they need to be able to use in everyday life moments- like having a cup of coffee on a hectic day. Just a few moments of silence with your coffee out of an oversized mug that fits well in your hand, which also has color variations that keep you discovering new nuances of the glaze each time you look at it. If your mug costs so much that you are afraid to use it, then you miss these moments every day. I am careful to price my work so that my customers will not be afraid to use their pieces in their everyday life. Currently on my workbench are the plans and prototypes for a series of crocks and jugs based on the ones from the turn of the century. 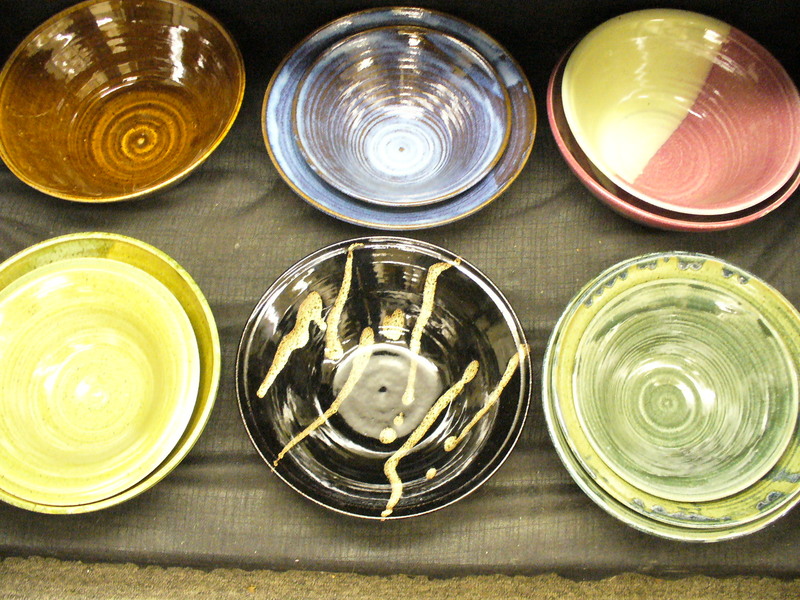 They will have the Brier Street Pottery name on them, and will have a simple cobalt blue hand-painted design on them. Each will be dated. My self-indulgent hope is that 100 years from now, someone will have kept one of these pieces and it will have passed through family lines and become an heirloom. What do you feel you will bring to the Canandaigua Art and Music Festival? Beautiful pottery and an artisan that is more than willing to share my love of pottery with any person who wants to talk with me about it. I love to talk with hobby, new, or aspiring potters- trying to continue the line of people who want to transmit beauty through their hands.